We are searching for a Field Service Engineer II (FSE-II) for our Anaheim, CA location. In this role, the successful candidate will provide a variety of high-level comprehensive engineering services to customers in the field. This position will be required to work on high-powered electronic equipment in an industrial environment, aboard ships, as well as commercial facilities. This role will perform emergency and scheduled maintenance and assist in the removal and installation of customer equipment. This position may be required to troubleshoot equipment down to component board level. Frequent travel for extended periods is required. Familiarity with Nuclear Navy Principles and regulations required. Primary responsibility will be the troubleshooting, repair, installation, and maintenance of L3 product lines with emphasis on products supporting Nuclear Navy. Must be able to provide field service support bringing new products or product enhancements to market as well as the entire product development life cycle. Supporting member of engineering team from requirements and concepts through design, integration, and verification/validation. Assist in field service activities (e.g. verification/validation activities, field change instruction development, tech manual development and markups) in the support of engineering projects or programs. Troubleshoot problems and perform repairs, tests, and alignments to other L3 equipment. This includes analog circuitry, digital circuitry and appropriate mechanical adjustments. Apply electronic theory and knowledge to perform operational tests, gather data, analyze faults, and perform repair/upgrade on other L3 equipment. Perform and/or assist in the installation of customer equipment and on site acceptance/functional testing. Support development of training courses on theory and operation of power equipment as required. Complete and submit expense reports and any other associated paperwork covering activities in the field. Responsible for proper preparation prior to responding to any field effort, including but not limited to; travel requests, security information, checking of test records, installation records, required tools, and any previous modifications. Assist with special reports, engineering changes, failure analysis and any other requirements for product improvement and quality. Responsible for following all proper safety requirements. Travel from assigned territory as required. Improve current knowledge of state-of-the-art components and new products. Graduate of Nuclear Power School (ET or EM) with relevant experience in power generation and distributions systems desired. Demonstrated experience with Nuclear Navy Processes and Procedures (including Verbatim Compliance) required. At least 12 years of relevant experience troubleshooting or maintaining power generation and distribution for critical systems. At least 6 years of relevant experience troubleshooting or maintaining power generation and distribution for critical systems after completion of Nuclear Power School/Prototype (ET or EM). Broad based technical knowledge and experience with troubleshooting and repairing power generating and distribution systems. Must have experience and/or training with digital and analog circuitry as it applies to power equipment. Previous high-voltage equipment experience is desired. Ability to perform troubleshooting relying on technical data, empirical means as well as theoretical approach to problem solving. Ability to set up various test equipment and evaluate the data to use as a troubleshooting aid. Ability to read and interpret schematics, specifications, blueprints and other engineering data. Must be physically able to work in confined spaces, climb ladders, move auxiliary equipment on casters, lift and carry heavy parts and sub-assemblies, and be able to perform the above duties indoors and outdoors during inclement weather. Must be very attentive to details. Willing to travel worldwide on short notice. Must possess good written and oral communication skills. Must possess strong decision making ability and time management skills. Successful completion of all assigned department qualifications necessary for field service activities. Must be able to obtain a DOD “Secret” clearance and a U.S. passport. Must have a valid driver’s license, good driving record, and be able to drive a rental car. 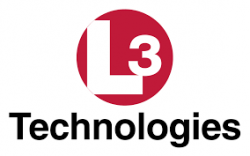 Headquartered in New York City, L3 Technologies (NYSE: LLL) is the 7th largest Defense Contractor, employs over 45,000 people worldwide, and is a prime contractor in aircraft modernization and maintenance, Command, Control, Communications, Intelligence, Surveillance and Reconnaissance (C3ISR) systems and government services. L3 is also a leading provider of high technology products, subsystems and systems.